Jay P. Manning is an award winning second generation Custom Home Builder, and Land Developer. A native of Rocky Mount, NC, Jay has built over four hundred homes while developing several successful subdivisions in Nash County. Jay graduated Sigma Lambda Chi from East Carolina University with a Degree in Industrial Technology and Construction Management in 1991, and currently resides in Spring Hope, North Carolina, with his wife Kristi and their two children Nicole and Cody. They live on a family farm where they enjoy hunting, fishing, horseback riding and other wonderful aspects of the outdoor lifestyle. Jay believes that the best relationships in his life were built while spending time together in the woods, or on the water. He and his family are all outdoor enthusiasts and enjoy sharing a common home with the wildlife on the farm, as much as, their time together in the field with family and friends. 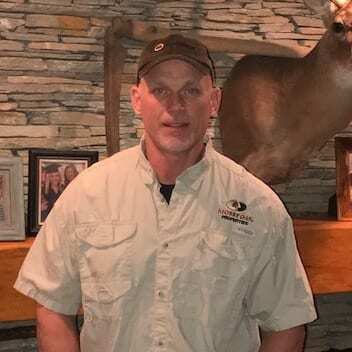 Jay is a great fit for the Mossy Oak Properties/NC Land and Farms team, he brings over twenty-one years of experience in construction, real estate management, as well as, land and timber acquisitions to he table and his enthusiasm and passion for the land is evident in everything he does.